This article is about the 35-ton BattleMech. For the 45-ton OmniMech, see Firestarter (OmniMech). The Firestarter was designed by Argile Technologies of Skye in 2550 to perform as an incendiary 'Mech. The most popular and widely-used version of the Firestarter, the FS9-H, would debut in 2703 and become the standard to which all other incendiary 'Mechs were compared. The FS9-H was produced almost exclusively from its introduction up to the beginning of the Amaris Civil War in early 2776, with nearly 3,000 Firestarters in total seeing active duty. Because of the 'Mech's popularity with all of the Great Houses, Argile Industries continued to produce spare parts and new 'Mechs prior to and during the Succession Wars, until their Argile plant and headquarters were destroyed in the Third Succession War. When the company indicated that they would not rebuild their plant, Coventry Metal Works eventually picked up production. Though most regiments contained a number of Firestarter 'Mechs, they were traditionally assigned at the company or regimental level rather than be attached to a lance, with the commander then deploying them to support an attack group or scout wooded areas. The reason for this was that the 'Mech had such a specialized role that it was deemed useless to assign it to lances. Though protected by five and a half tons of armor and capable of jumping distances of 180 meters with its six jump jets, the Firestarter could do little against medium or heavyweight opponents. Instead a whole series of tactics were developed around its ability to start wildfires, with skillfully-placed blazes routing an enemy or covering a retreat and hampering any pursuit. Firestarter MechWarriors were fond of setting on fire a heavily wooded area as enemy 'Mechs advanced through it or any buildings within which the enemy were sheltering. Other uses for the 'Mech included performing scorched earth tactics (though this lessened in later years as it became more imperative to capture the dwindling number of valuable resources rather than destroy them) or lead units of Wasps and Stingers in deep penetration scouting and light raiding missions. This policy changed in the later Succession Wars as it was found that the Firestarter performed well as a scout, able to not only start fires to prevent an enemy from attempting to follow it but also clear ambush areas for the advancement of friendly forces. 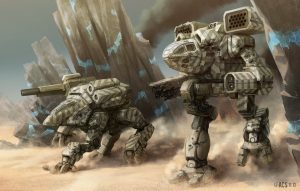 In the wake of the Fourth Succession War Firestarters also found themselves being assigned to lances as replacements for the losses of other light and medium 'Mechs, forcing the 'Mech to perform in a frontline role. This evolution would continue when the Federated Commonwealth unveiled a new version in 3049, the FS9-S, which featured a host of recovered lostech to enhance its scouting abilities. The Firestarter carries four Purity L-series Flamers for incendiary work, one in each arm, one forward-facing in the center torso, and one rear-facing in the center torso. The flamers can set fire to anything flammable very quickly. For additional anti-personnel work, the Firestarter has two Deprus RF Machine Guns mounted in either side of its torso which, combined with the flamers, can make short work of infantry units. The Firestarter carries one Magna Mk II Medium Laser in either arm for when it is forced to engage hard targets like vehicles and other BattleMechs. One ton of ammo located in its torso supplies the machine guns while ten heat sinks help keep it cool. The -M3 is a modification of the -M2 Firestarter introduced in 3104 that has been optimized for artillery spotting. The 'Mech has removed the three Flamers mounted in the left arm, replacing them in the arm with a single ER Small Laser, and added a TAG laser designator to the right torso, allowing it to spot for artillery, and MASC, which allows it to move at up to 129.6 km/h. The -M3 also dropped a single double heat sink but added another half ton of armor, giving it a total of seven and a half tons of standard armor. BV (1.0) = 699, BV (2.0) = 866. Another reworking of the -M2 variant debuting in 3109, the M4 strips out a double heat sink, the ER Medium Laser and the three Flamers mounted in the left arm. The -M4 upgrades the engine to 210 XL and mounts a single Rotary AC/2 in the left arm, supplied with a single ton of ammunition stored in the left torso. The -M4 also adds another half ton of standard armor. BV (2.0) = 798. This variant of the Firestarter is armed with two Heavy Flamers and one SR Missile Pack. It carries seven tons of armor protection. This variant has only four tons of armor, while boasting a larger armament. 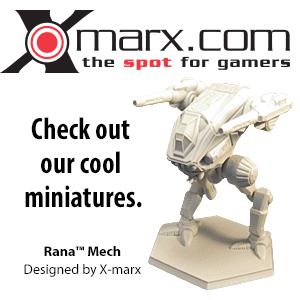 It is armed with one Laser, two SR Missile Packs and a PPC. The FS9-J has the same armament as the FS9-A and four tons of armor. Its jump jets allow it to jump up to one hundred meters. The Firestarter Hero 'Mech, the Ember mounts a pair of flamers in each arm supported by two machine guns in each side torso. Mounting only five jump jets, the Ember is powered by a 210 rated standard engine and built on an Endo Steel frame, the weight saved allowing it carry a tons worth of machine gun rounds in each CASE protected side torso, a eleven double heat sinks and near 75% of the maximum armor its chassis can carry. Themed as the Firestarter utilized by an unnamed member of Philip Capet's Capellan Mafia during Capet's final duel against Justin Allard on Solaris VII, the Firestorm features twin machine guns in its arms, mounting a medium laser in each side torso while retaining the center torso mounted twin flamers. The Firestorm carries two tons of machine gun ammunition. ↑ Field Report 2765: Periphery, p. 11, "Infrastructural Integrity"
↑ MUL Profile for FS9-A includes BV2. ↑ 13.0 13.1 Technical Readout: 3145 Lyran Commonwealth, p. 26-27, "FS9-M2 Firestarter"
↑ 16.0 16.1 Technical Readout: 3145 Lyran Commonwealth, p. 81, "FS9-M3 Firestarter"
↑ Technical Readout: 3145 Lyran Commonwealth, p. 82, "FS9-M4 Firestarter"
↑ Experimental Technical Readout: Corporations p. 3 - Experimental tech Firestarter. This page was last edited on 11 January 2019, at 23:11.